This article is about the guest star. 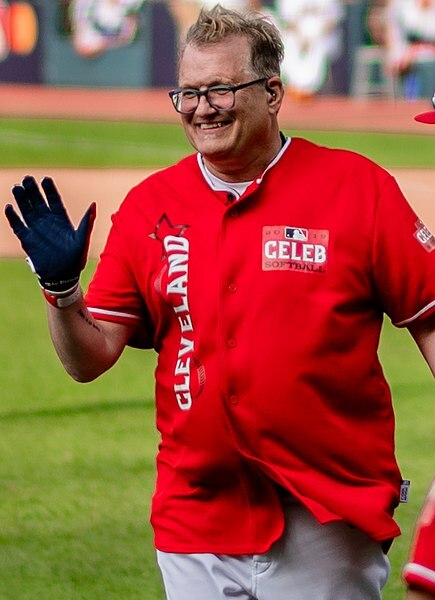 For the character, see Drew Carey (character). Drew Allison Carey (born May 23, 1958) is an American actor, comedian, game show host, photographer, producer, singer, sports executive, and writer. He voiced himself in the season 19 episode "All About Lisa" and the season 28 episode "Treehouse of Horror XXVII". Modified on October 31, 2016, at 19:42.